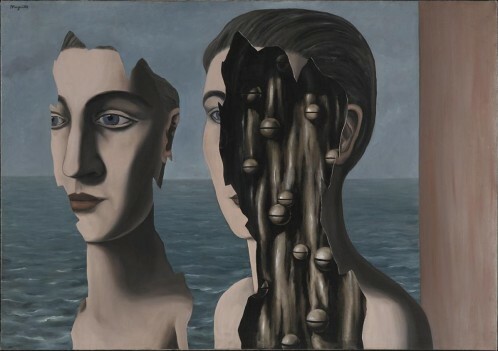 Belgium artist René Magritte is honored by a major retrospective at the Centre Pompidou. The exhibition is composed around five figures and symbols that mark Magritte’s oeuvre: fire, shadows, curtains, words and fractioned body. The exhibition is entitled La Trahison des Images (The Treachery of Images). 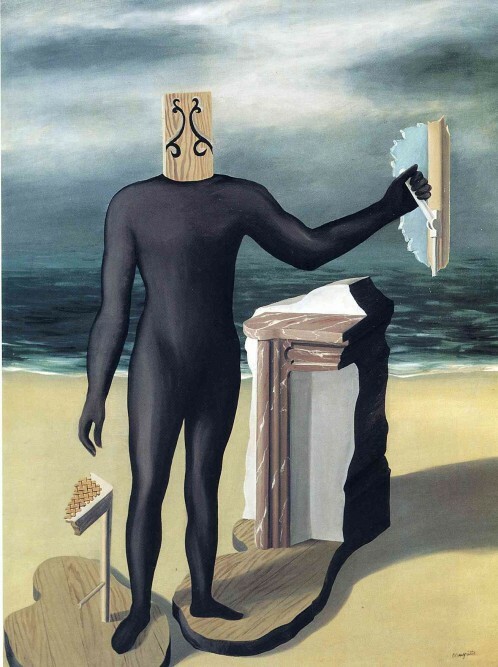 ‘My painting is visible images which conceal nothing…they evoke mystery and indeed when one sees one of my pictures, one asks oneself this simple question ‘What does that mean?’ It does not mean anything, because mystery means nothing either, it is unknowable.’ This quote by the surrealist painter summarizes his overall approach to art. His major piece on which is written ‘Ceci n’est pas une pipe’ below a pipe image is entitled La Trahison des Images and gave its title to the retrospective. Magritte’s oeuvre interrogates the link between images and the real. He therefore excels in the representation of mental images. As such his paintings usually make use of trompe l’oeil, multiplication and faceless humans. These motifs can be seen amongst other painting in Golconde, Le Beau Monde and Le Fils de l’Homme. The retrospective presents 206 art pieces ranging from paintings to drawings and objects and especially highlights the time between 1927-1928. Years when Magritte incorporated the most important ingredient to his oeuvre: mystery.